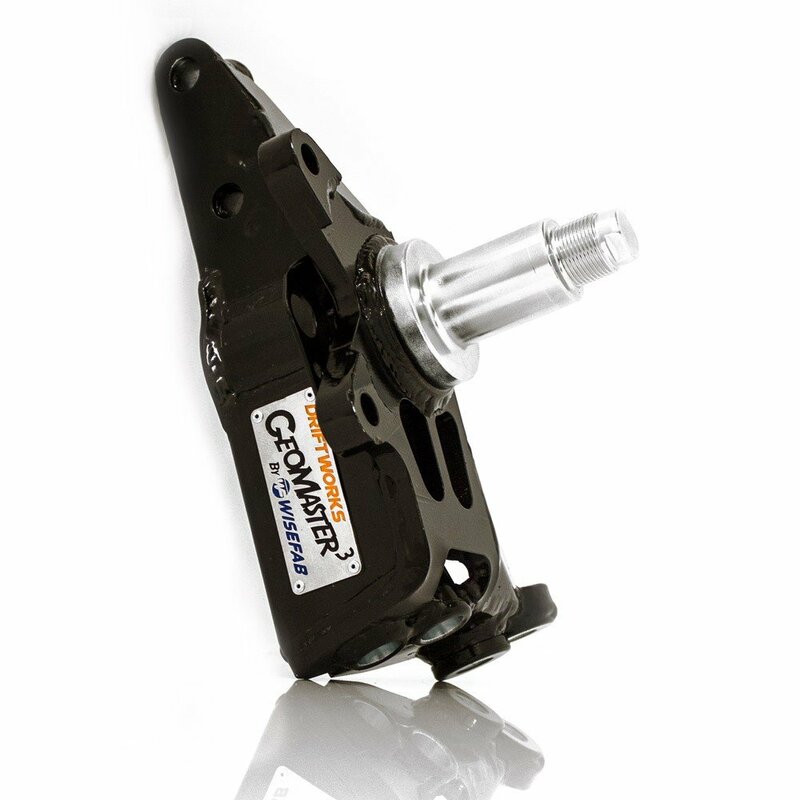 Ideal for correcting the camber on your vehicle, be it to reduce tyre wear on a lowered road car, dial in the perfect geometry for track day use or dial in traction on a drift car. 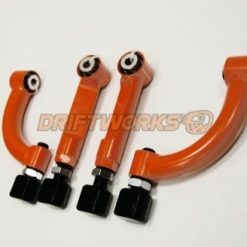 Adjustable rear camber arm using teflon lined 3 peice bearings. 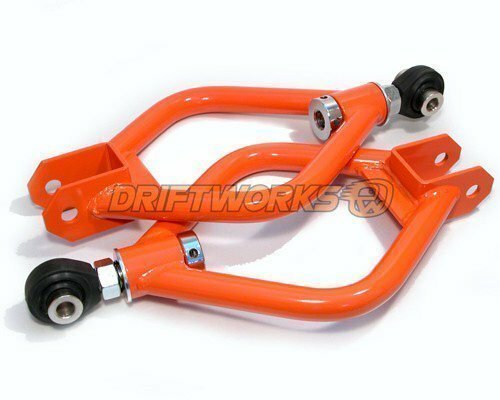 Replaces standard rear camber arm. 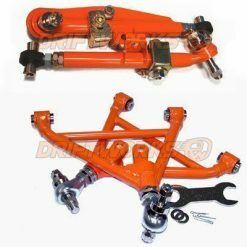 Removes standard bushes and allows great fine adjustment of rear camber. 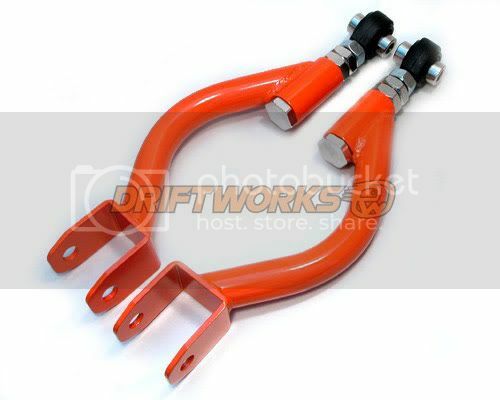 Rigorously tested both on the road and track. 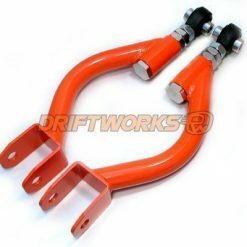 The Driftworks Suspension Line. 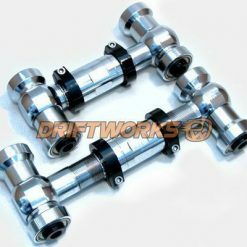 As used on our championship winning drift cars! 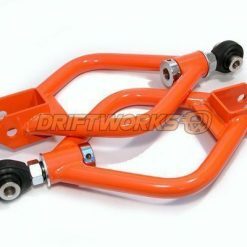 Driftworks adjustable camber control arms with teflon lined rosejoint ends allow you to accurately set your rear camber. 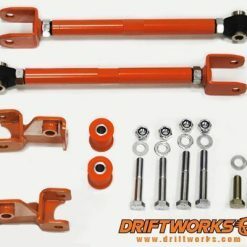 A must for any lowered car, as the standard eccentric bolt doesn’t allow enough adjustment. Correct alignment is essential for any car, be it to correct tyre wear on a road car, adjust your geometry for handling perfection or set the car up for drift use.